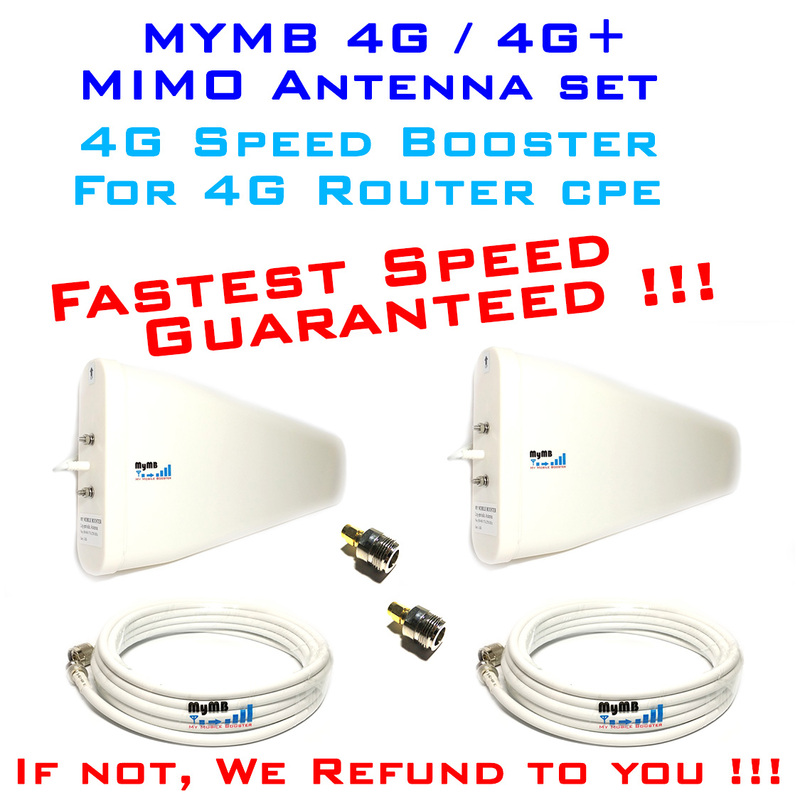 The 4G / 4G+ MIMO High Gain Antenna Set is suitable for most of the 4G router such as Huawei B310, B315, E5186, TP-link, D-link 4G router and etc which come with 2 external antenna ports. 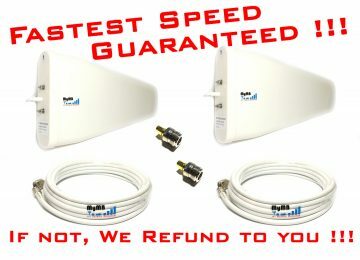 If you experience the 4G speed for your router inside your house or office is much slower than the 4G speed outside your house or office, then you could use the 4G / 4G+ MIMO High Gain Antenna Set to boost the 4G speed for your router. (If outside speed already very slow, then by using this antenna set may or may not improve the router speed, as it may due to bandwidth limitation). The antenna is high gain log antenna, it is directional antenna, that mean the pointing direction is important in order to maximise the speed performance. 4 cable length is available. i.e. 5 meter, 10 meter, 15 meter, 20 meter. The mimo antenna set need to have 2 cables separately connected from the antennas to the 4G router, so by choosing 5 meter option, you will get 2 pcs of 5 meter cable, and the outdoor antenna to the 4G router distance is equal to or less than 5 meter. The maximum cable length is 20 meter, however, if you need longer cable, you could purchase separately from us. 15 meter 50-3 Cable : This is a cable with higher loss than MyMB low loss cable, the loss is about double @ 4G LTE frequency for 15 meter as compare to MyMB low loss cable, however, the price is much cheaper. If your outdoor 4G signal is strong or near to full bar, you could use this cable to save some money. 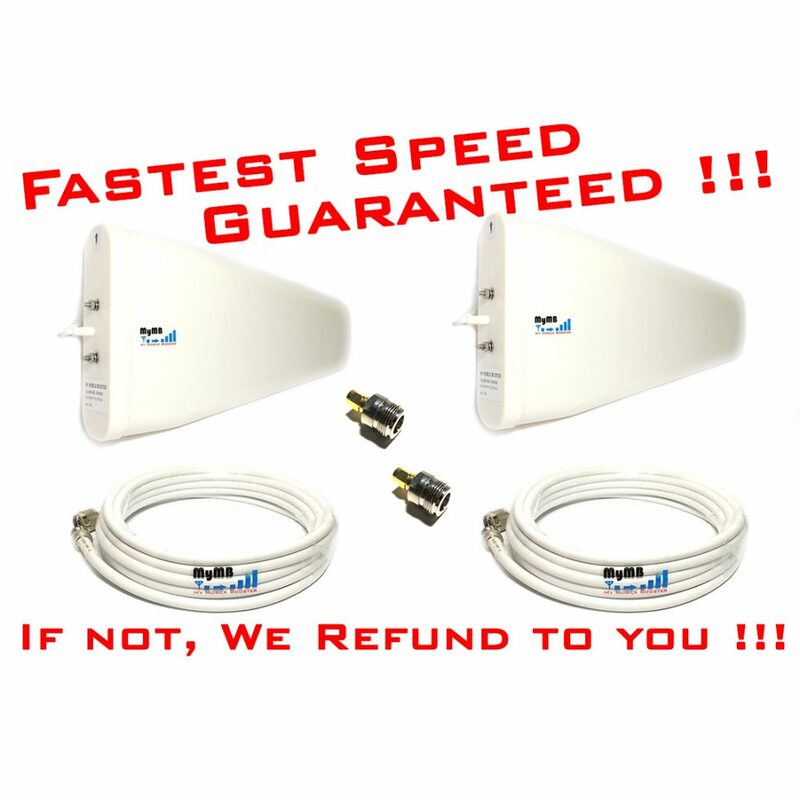 Within 30 days, if you could prove to us you can get fastest data speed consistently for your 4G router by using other antennas set with the same cable length, and the mimo antenna set price is equal or lower than our products, you could return the products to us and we will provide full refund to you.